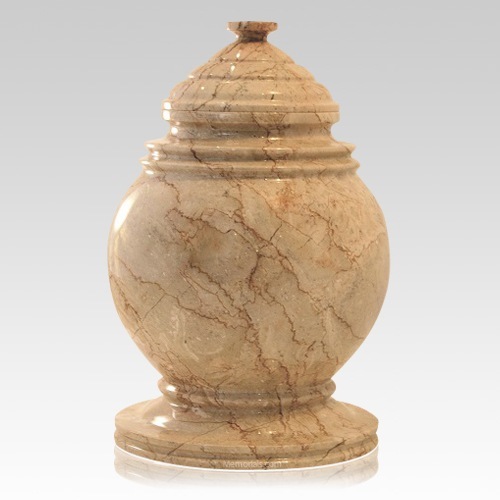 The Princess Marble Cremation Urn is made of natural marble and finished to perfection. The earthen tones of the stone will bring peace to your heart, while the modern shape will create a stunning visual effect. Because this urn is made of natural materials, slight variances in the color and patterns are to be expected. Create a final resting place as unique as your loved one with this elegant urn.